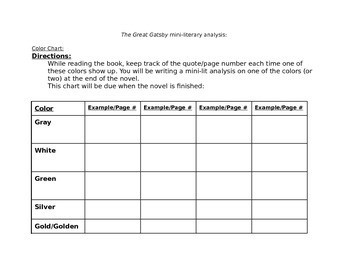 The students were asked to track significant colors during the novel (chart is on assignment sheet). 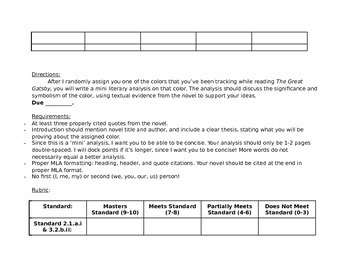 After reading, they were randomly given one color to write an analysis on in terms of its significance and symbolism in the novel. 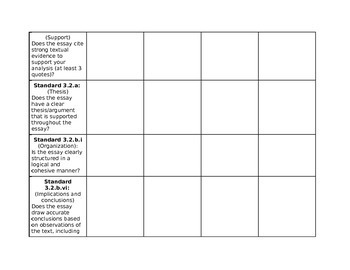 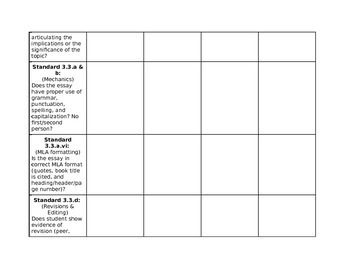 All of my assignments are aligned with the Colorado State Standards, which are aligned with the Common Core.